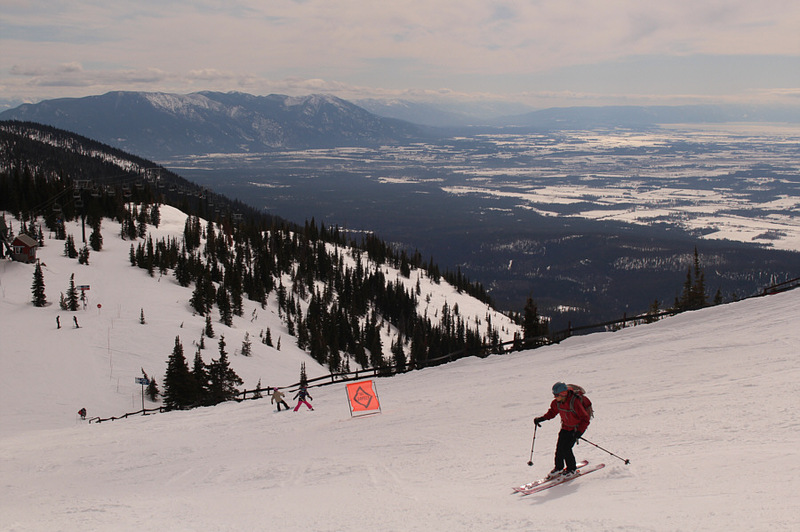 Kicking off a week-long spring break road trip, Zosia Zgolak and I visited Whitefish Mountain Resort (WMR) in Montana on 23 March 2019. 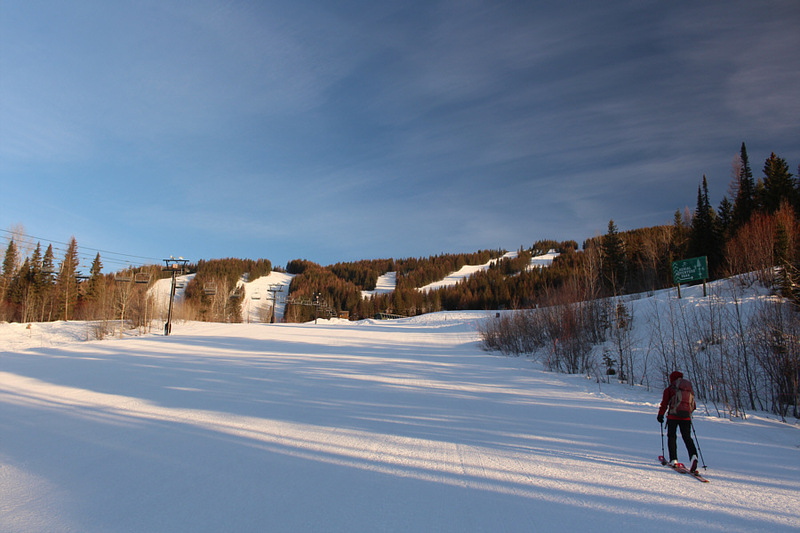 Located on the northern outskirts of its namesake town, WMR has a well-defined uphill travel policy which is very accommodating to 'slackcountry' skiers. 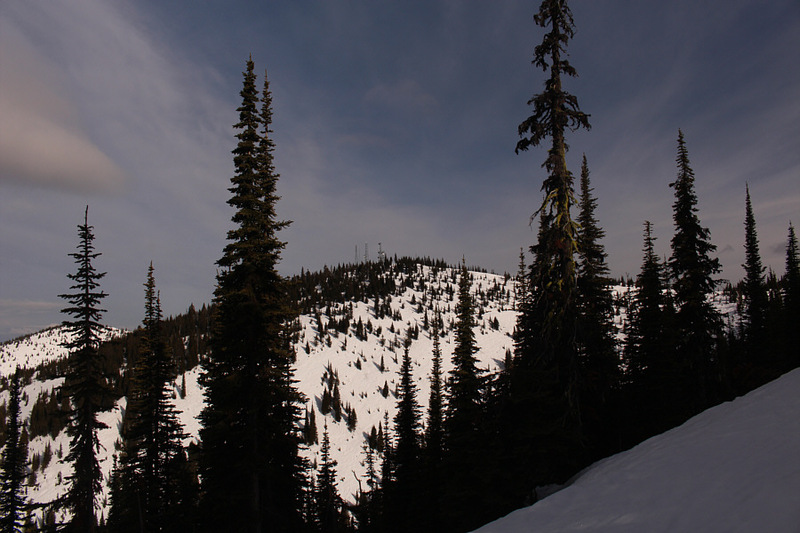 As an added bonus, a nearby officially-named summit--Big Mountain--can be tagged for very little extra effort. 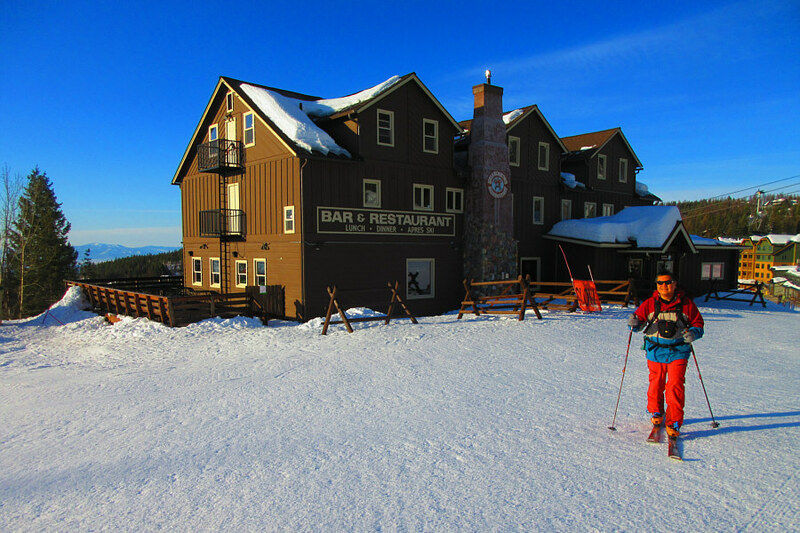 When we arrived early in the morning at Spruce Parking Lot, there were already several other parties of uphill skiers gearing up there, and Zosia and I followed suit. 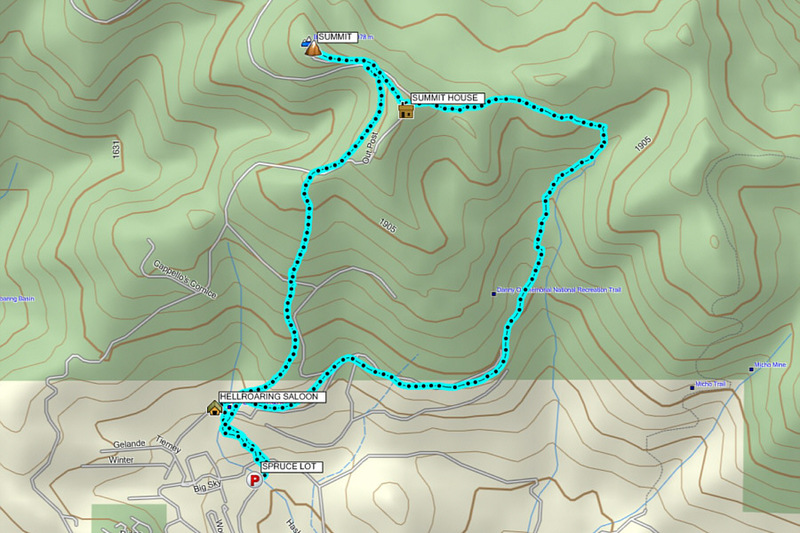 Of the two designated uphill routes at WMR, the Benny Up Route appears to be more popular because it is open to uphill traffic earlier than the East Route. Following the directions in the resort's uphill travel policy, we skinned up climber's right of Chipmunk trail to the bottom of Big Mountain Express chairlift. We stopped here for a quick bathroom break at Hellroaring Saloon before resuming our ascent. From Hellroaring Saloon, we followed Toni Matt trail most of the way to the top of the resort. 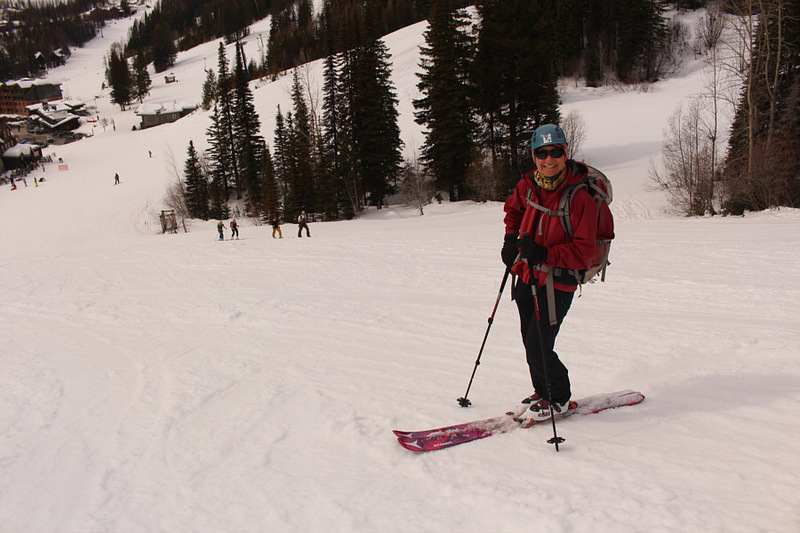 There were lots of other people going uphill on this day, and a few were using snowshoes or merely hiking in boots. Some sections of Toni Matt trail are quite steep, and with the very icy conditions that morning, I slipped a few times while skinning uphill. Ski crampons, which I did not possess at the time, would have been very helpful, but I managed to climb up without them anyway. 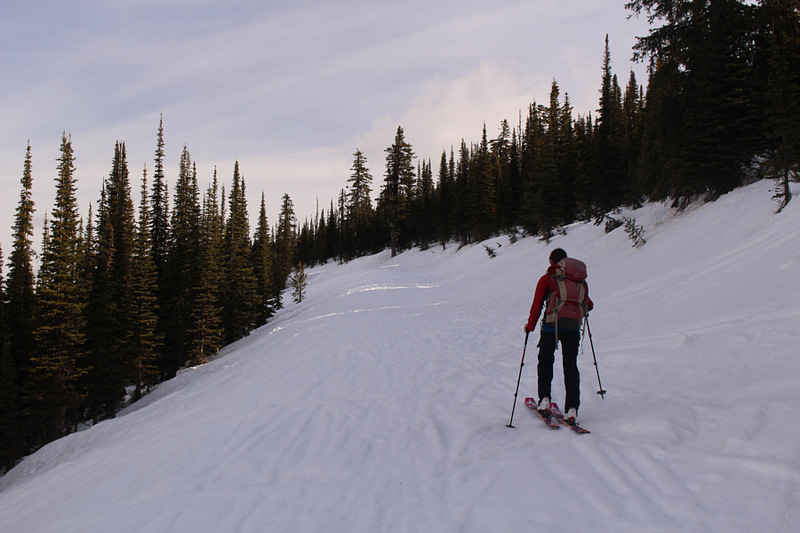 Just short of the top of the resort, Zosia and I ducked under a boundary rope on climber's left to ski along an obvious road branching off from Toni Matt trail. This road bypasses the top of the resort and leads to a cat track that runs up to the summit of Big Mountain. 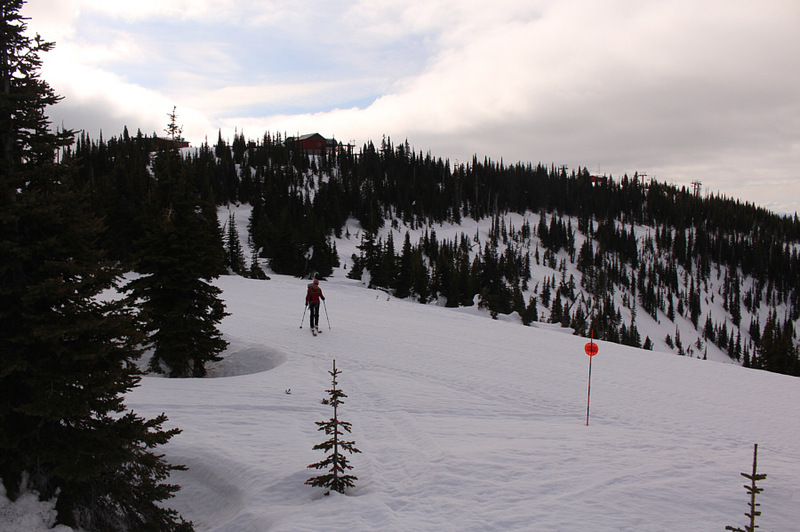 We had no difficulties skiing to the summit of Big Mountain, but rather than hang around the cluster of ugly antennas there, we retreated along the cat track and followed another road leading to the top of the resort. 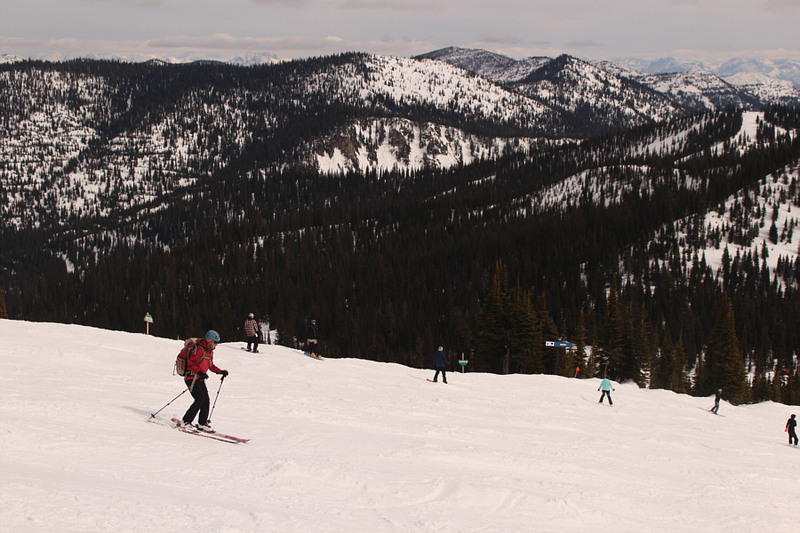 This second road allows snowmobilers and the odd fat-biker to ride to the top of the resort and enjoy the same amenities there as the resort's patrons. I applaud WMR's initiative to be more inclusive of all outdoor recreationalists and to not restrict access to just its paying customers. After stripping off our climbing skins, we took a well-deserved lunch break inside Summit House, the main lodge at the top of WMR. 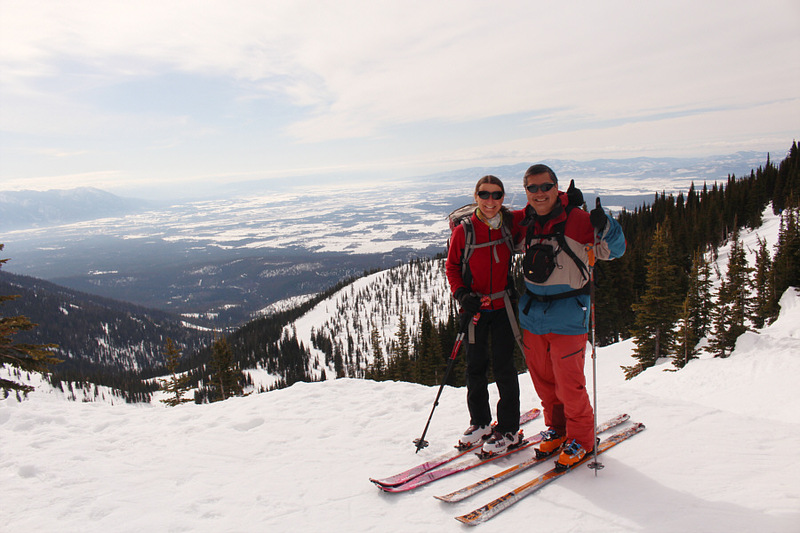 For our descent, Zosia and I skied the trail known as Russ's Street all the way down to the bottom of Big Mountain Express chairlift before finishing on Chipmunk trail. 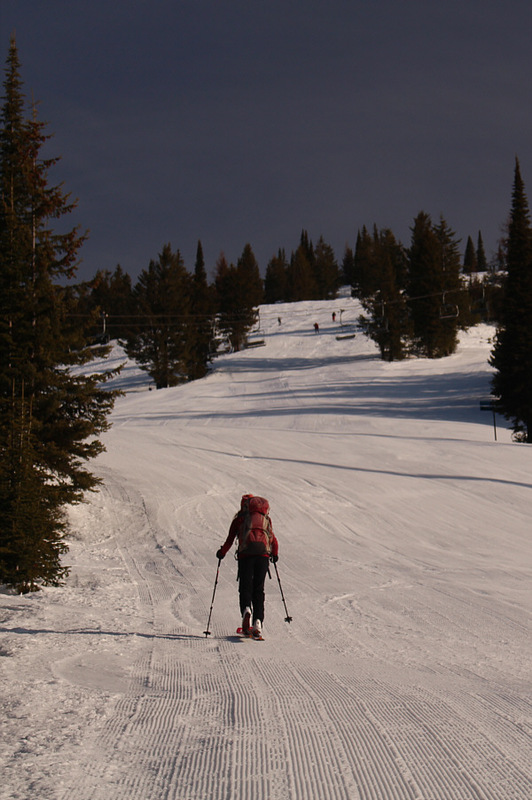 The warm afternoon temperatures softened up the snow considerably allowing for some surprisingly enjoyable skiing, and we had no issues on our way down. Zosia climbs up wide and easy Chipmunk trail. Hellroaring Saloon is not open for business yet, but the washrooms are still accessible. Zosia climbs up Toni Matt trail. Some other uphill travelers can be seen ahead. Sonny comes up one of the steeper sections of Toni Matt trail. Behind him is Whitefish Lake. 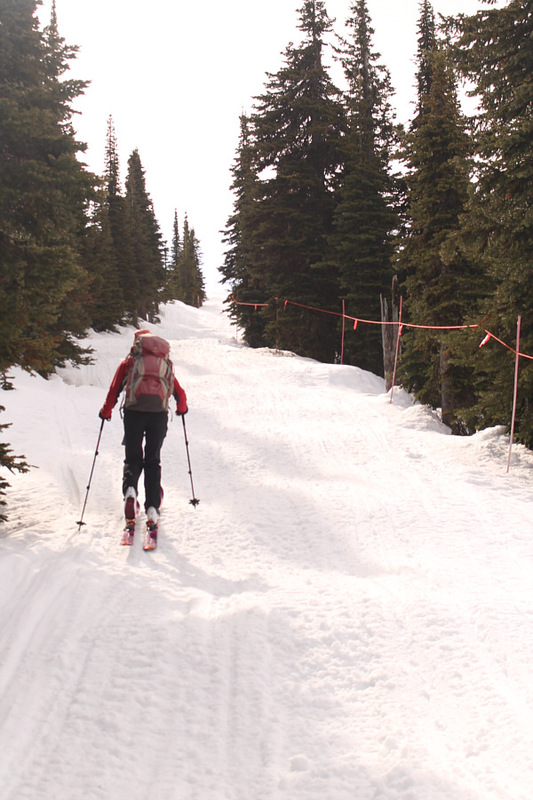 This is the final section of Toni Matt trail before the top of Whitefish Mountain Resort (WMR). Big Mountain comes into view not far below the top of the resort. Zosia takes a road that branches off from Toni Matt trail just below the top of the resort. 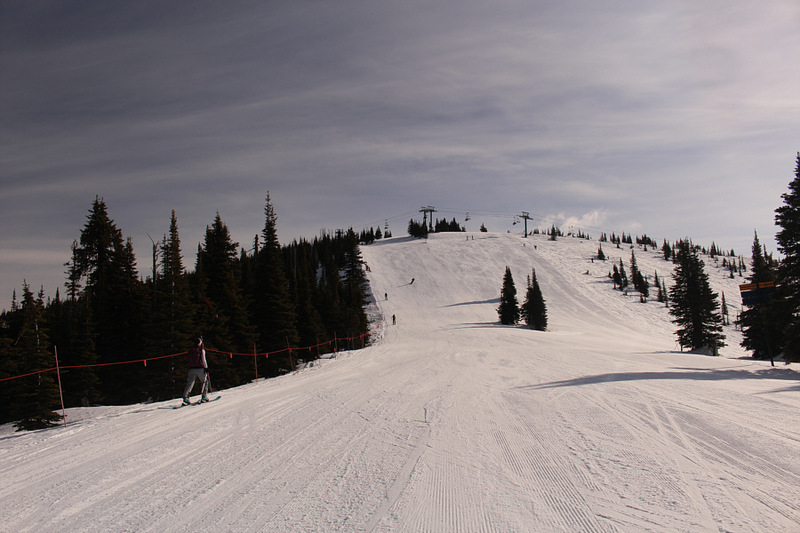 The road traverses below the top of the resort (left) and leads to a cat track which goes up Big Mountain. Zosia follows the cat track to the summit of Big Mountain. 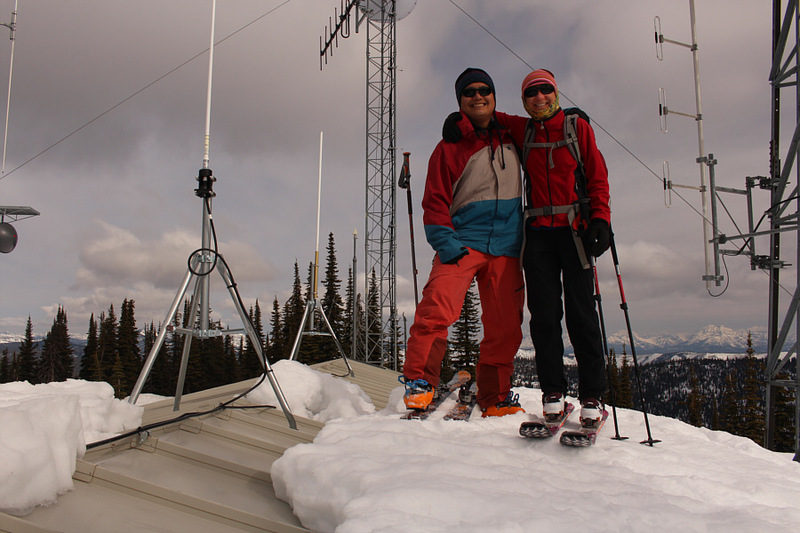 Sonny and Zosia stand on the roof of one of the buildings on the summit of Big Mountain (2078 metres). 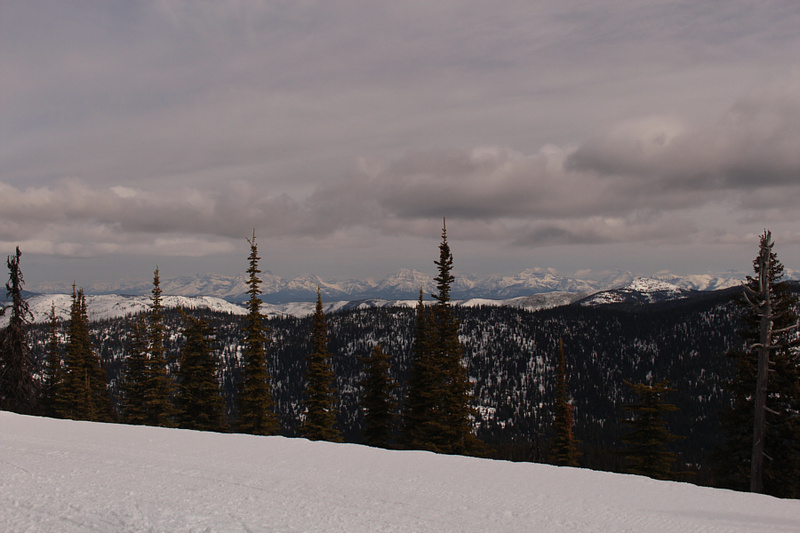 From the summit of Big Mountain, peaks in Montana's Glacier National Park can be seen on the northeast horizon. 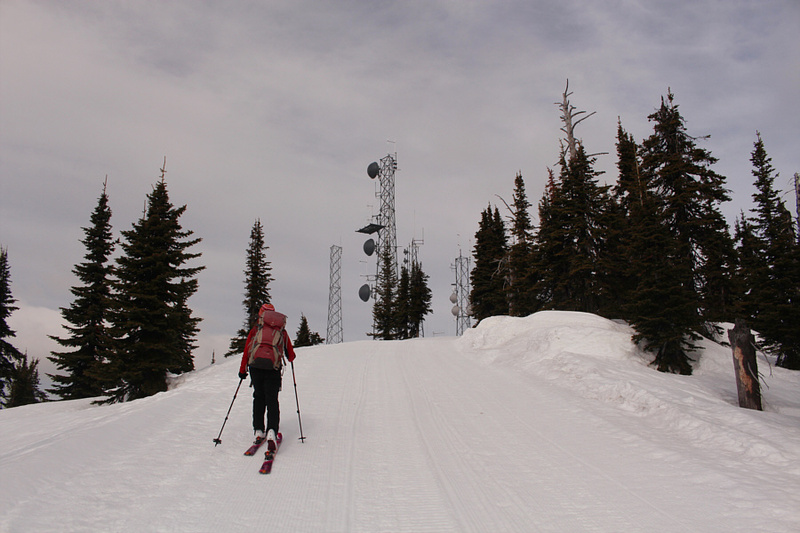 Zosia takes the snowmobilers' access road to the top of WMR. 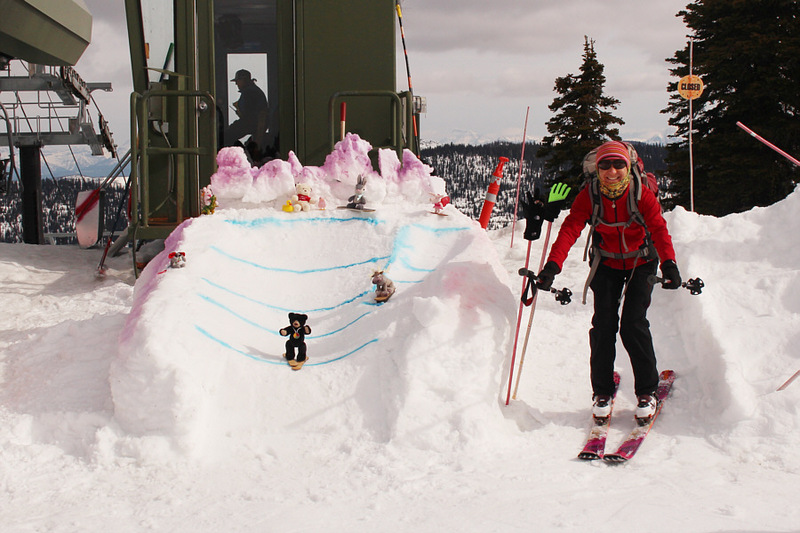 Zosia tries to emulate the bear and the moose on this miniature ski jump at the top of WMR. Zosia and Sonny give thumbs up to the great views from the top of WMR. Zosia starts her descent from the top of WMR on Russ's Street. 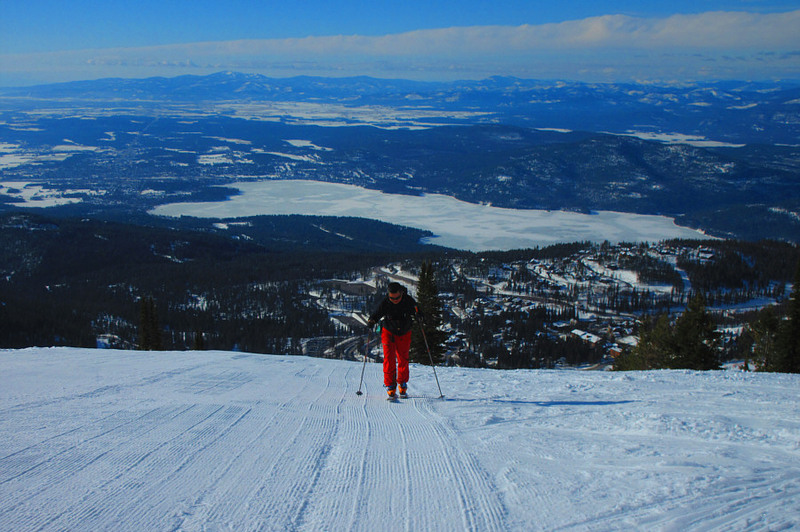 The softening snow makes for much more enjoyable skiing. 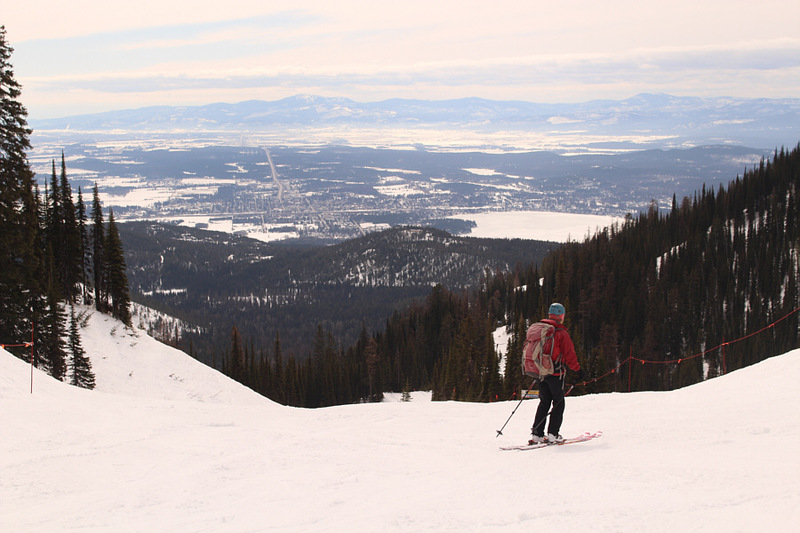 The town of Whitefish can be seen in the distance as Zosia continues to descend Russ's Street. Zosia pauses near the intersection of Russ's Street and Toni Matt trail. Behind her, some skinners are just starting their ascent in the afternoon.